Our featured itineraries are designed to be the starting point for your perfect holiday, as each can be tailormade to match your interests, budget and timeframe. However, we appreciate that some indication of price is useful and so we hope that the selection of recent quotes will help with budgeting and perhaps give further inspiration for your holiday. This is for a family of 4 looking for a holiday that offered a variety of holiday experiences that would appeal to adult and child alike. As well as the stay in Hanoi and cruise on Halong Bay, we created a loop with private guide that included a stay in an authentic rural village environment, a day in the jungle and boat ride through a beautiful wetland reserve. The best summer beach weather is around Hoi An on the central coast and so the holiday ended here. A family of 4 wanted a holiday that combined traditional highlights with excursions and experiences that would appeal to the family as a whole, as well as a beach at the end. 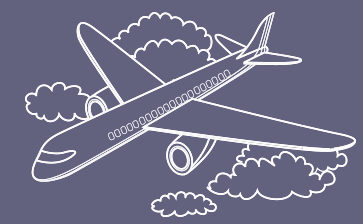 For those who have to travel in school holidays, the 2nd half of August currently offers the best flight prices. 17 Aug: Early Check-in and rest of the day free. Tours can be added. A first time visitor to Vietnam, this client wanted to explore North, Central and South Vietnam with a beach stay that didn't involve extra flights. Mui Ne to the east of Saigon is the easiest to reach and offers a superb range of hotels. Can take train one way and car on return to vary journey. Vietnam Airlines are the only airline to offer direct flights to and from Vietnam. This client wanted to see the highlights of Vietnam, travelling from north to south so getting warmer as the holiday progressed. Springtime is a great time to tour as the north is warming up and the summer rains haven't arrived in the south. No beach, but can be easily added in Hoi An. This is ideal for a family of 4 looking for a holiday that offered a variety of holiday experiences that would appeal to adult and teenage child alike. As well as the stay in Hanoi and cruise on Halong Bay, we created a loop with private guide that included a day in the jungle, a cycle through the countryside, boat ride through a beautiful wetland reserve and overnight train journey in a comfortable private soft slleeper cabin. The best beach weather from April to August is around Hoi An on the central coast and so the holiday ended here. The client had never been to Vietnam before and wanted a holiday that concentrated on the north and south and included a couple of days in the mountains of the north around Sapa. We coincided her visit with Bac Ha Market that operates every Sunday and brings the hill tribes together in their colourful Sunday best to meet, trade and enjoy themselves. Early October is a perfect time to visit the hills around Sapa as the rice harvest is still in full swing. Hue and Hoi An on the central coast can easily be added. This was the client's third visit to Vietnam and they wanted to revisit Hanoi and Hoi An but also include a new experience with beach at the end. Ninh Binh, just south of Hanoi, is known as "Halong Bay of the Paddy Fields" because of the dramatic limestone karst scenery, national parks and wetland reserves. The added bonus is that an overnight sleeper train can take you down to Hoi An. The beach resort of Mui Ne is a 4 hour drive from Saigon Airport. This was designed for a family with 2 teenage children who wanted to mix the traditional historical highlights with a more adventurous overland tour in North Vietnam plus a few days on the beach in Hoi An. The private guided overland tour takes them from Hanoi to Mai Chau where they can see the effect of Community tourism in the countryside, then onto the magnificent limestone scenery around Ninh Binh and a cruise through Halong Bay. Mai Chau is a beautiful rural valley whose villages, farms and paddy fields are best explored by bike or on foot. In Ninh Binh they'll explore the jungle of Cuc Phuong National Park on foot and the Van Long Wetlands by boat. The holiday finishes exploring the magnificent Angkor Archaeological Park. Something for everyone! A cherry picking honeymoon based on a previously advertised holiday quote, bringing together 5 very different holiday experiences in Vietnam & Cambodia with a couple of nights in Hong Kong. The Angkor Temples were to be the highlight staying at the beautiful Belmond La Residence hotel and so they finish here. If you'd prefer to finish on the beach in Phu Quoc this can easily be arranged. Free days were included to allow for self-exploration away from private guide. If a beach is not required then this is our most popular holiday itinerary that combines the Angkor Archaeological Park in Cambodia with a comprehensive tour of Vietnam. The overnight train from Hanoi to Hue is a great holiday experience in a private soft sleeper berth. November is the perfect time to visit each of these 3 destinations as the rains should have finished and humidity will be low, yet each will be warm / hot. This compact itinerary brings together 4 very different holiday experiences and the beach element can be amended to stay in Cambodia or Vietnam if you prefer. This is one of our best-selling holidays as it allows you to create a loop that includes the majestic Angkor Temples in Cambodia, the ethereal city of Luang Prabang in Laos and a comprehensive tour of Vietnam. If you only plan to visit once, this is the tour for you and a beach can easily be added to the end. For a first time visitor to Cambodia this holiday offers a great introduction that can be kept as described or other places can be added. You'll experience the ancient splendour of the Angkor Temples and the stilted villages that surround and fish Tonle Sap Lake to feed the nation, before travelling to the Capital, Phnom Penh, to get a sense of modern Cambodia and the recent bloody history. Finish off with a few days on the beach. This client wanted to see the Temples of Angkor, enjoy a stay in Phnom Penh and have plenty of time on the beach, but also wanted to get a bit off the beaten track. To this end we included an overland tour from Siem Reap to Phnom Penh that headed a touch north to Kratie and a 2 night stay on the island of Koh Trong in the middle of the Mekong and an unspoilt idyll where life slows down and tourists are sparse, but there are still plenty of River Dolphins - magical! 24 Nov: Full day private guided tour around Angkor Temples. Lunch included. 27 Nov: Follow the Mekong River (3 hours) up to Kratie. Lunch Kratie. Our best-selling Cambodia itinerary that combines the ancient world contained within Angkor Archaeological Park with the modern history of Phnom Penh, the Capital. From here you head to the coast for a couple of nights on an idyllic floating hotel and a few days on the beach. All with private guides. This quote was based on a Cathay Pacific special offer. This family of 5 wanted to combine the historical highlights of Cambodia with adventure and elephants. To achieve this we extended an overland tour between Phnom Penh and Siem Reap with a night on an island in the middle of the Mekong and a 2 day / 1 night Elephant Experience. A beach was essential at the end and the best summer weather would be enjoyed in Hoi An on the central Vietnam coast, just a short direct flight from Cambodia. 30 Jun: Morning short cycle tour (or walk) of island. Starting at the Angkor Temples and then adding a tour of Vietnam is our most popular combination. The best summer weather will be on the central Vietnam coast around Hue and Hoi An. 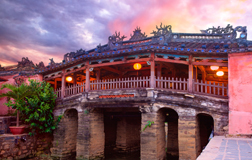 When flying with Vietnam Airlines there are good connections home from Hoi An and so the client decided to miss out Saigon to create a well balanced, relaxed, 2 week holiday that finishes on the beach. This extensive and luxurious holiday explores the Angkor Temples and the traditional highlights of Vietnam. To this we added time in the mountains around Sapa, an overnight stay in the Mekong Delta and a hideaway beach in Ninh Van Bay. Vietnam Airlines Business class offer flat beds and the best connections. 17 Dec: Morning Walking Tour of Hills. Return Private car transfer to Hanoi. This client wanted to mix the well known with a bit more off the beaten track, whilst broadly following the Mekong River. We did this by including a boat transfer from Phnom Penh to Chau Doc, a town just over the Vietnamese border in a less visited part of the Mekong Delta. You then transfer to Can Tho, the delta's capital and home to some of the best floating markets before finishing with a few days on the beach. A stay in Saigon can be easily be added. As you'll see on other quotes starting at the Angkor Temples and then adding a tour of Vietnam with beach is our most popular combination. The best beach weather will be on the central Vietnam coast around Hoi An (if travelling in winter stay on south Vietnam coast). Vietnam Airlines offer good connections and Premium economy flights. The client wanted to visit a maximum of 3 places and was interested in the Mekong Delta, so it was an easy selection: Angkor, Saigon and Hoi An beach. 17 Apr: Informal, fun cooking morning at Red Bridge Restaurant. With lunch. This holiday is popular with those who want to mix established highlights with a taste of adventure, to create one of most variety packed holidays you’ll find. The beach at the end is optional, a popular amendment is to add central and northern Vietnam to the holiday. This client primarily wanted to see the Angkor Temples in Cambodia and enjoy a few days on the beach on the island of Phu Quoc in Vietnam. 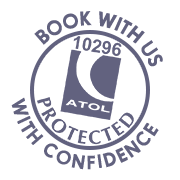 With a budget of under £2,000 we were also able to include time in Phnom Penh and Saigon to create a varied yet cost effective holiday. The direct coach from Siem Reap to Phnom Penh is air-conditioned, has an english speaking host and allows travellers to save money and see a little more of the country. 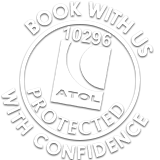 This client wanted a Cambodia holiday that included a degree of overland touring with a deluxe beach hotel at the end. The problem was that the only deluxe hotels on Cambodia's coast are "super deluxe" and so very expensive. We therefore recommend that they flew over to Nha Trang in Vietnam where there are plenty of superb deluxe hotels and some of the best beaches in Vienam. 23 Oct: Morning private guided Tonle Sap Lake Tour to stilted villages with boat tour. 25 Oct: Battambang & countryside tour including ride on Bamboo Railway. Our "Complete Cambodia" holiday normally ends on a Cambodia beach, but as the 4 Rivers Floating Lodge is very close to the Thai border it's very easy to add the island of Koh Chang and then fly home via Bangkok. This client was a big fan of Thai beaches and had never been to this part of Thailand so it was perfect finale to Cambodia tour. If you'd like to break your journey in Bangkok on the way home it often adds very little. 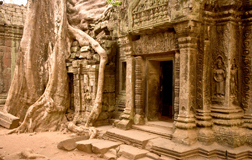 14 Nov: Full day private guided tour around Angkor Temples. Lunch included. This holiday was for a group of friends who had different "must-sees", but wanted to travel through Cambodia and Vietnam with a few days off the beaten track. The overland section in Cambodia fitted the bill and to this we added more well known highlights but with a selection of more active tours. 12 Oct: Follow the Mekong River (6 hours) up to Kratie. Lunch Kratie. This is a unusual quote as most clients who visit Laos combine it with another country, but this client wanted a comprehensive tour of Laos from the hill country of the north to the Mekong flood plain in the south. 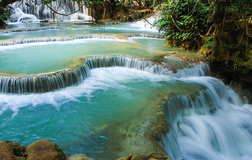 A superbly varied holiday with some beautiful boutique hotels that will really show off Laos. Easy to add a beach or Cambodia to end. 22 Nov: Enjoy a day trekking through the villages and surrounding hill country. These repeat clients are lovers of cruises and this first class Pandaw cruise weaves its way along the Mekong River through the relatively inaccessible areas of Laos all the the way to the northern Thai border. If you'd like a beach this can be easily added at the end. The remit was a week in Laos and a week on a quiet Thai beach with a maximum budget of £2,500pp. We suggested a two centre stay in Laos to enjoy Luang Prabang (essential in any visit here) and then the south around Champasak, where the Mekong River breaks down into a myriad of arms and channels that surround tiny islands, sandbars and islets to create a virtual water world. Phuket is an easy flight via Bangkok, but they preferred the quieter resort of Khao Lak an hour north. 15 Nov: Full day tour to 4,000 Islands to see the largest waterfalls in Asia on Cambodia border. 23 Nov: Late check-out until late afternoon airport transfer. This client had previously been with us to southern Vietnam, loved it and now wanted to create a highlights tour of North Vietnam, Cambodia and Laos with a beach break at their favourite Phuket hotel at the end. Not a run of the mill holiday, but it shows the flexibility on offer, so let your imagination overrule your objectivity. 01 Apr: Morning private Angkor tour. Evening circus visit. This client had a good budget and wanted an unusual combination holiday that got out into the countryside in Laos and Vietnam but also enjoyed the traditional highlights and beach stay at end. She wanted a resort that could also offer more than just a beach. Between March and August Hoi An is the perfect choice. A long holiday that can be shortened. 23 Mar: Morning Hanoi City Tour with lunch. Evening Street Eats and Market Tour. This client was interested in our Laos & Cambodia Highlights holiday, but didn't want to end on the beach and so was looking for other ideas. We suggested they conclude their holiday with 2 nights in the Cardamom Tented Camp, a new eco-resort in the Cardamom Hills in southern Cambodia. With just 9 luxury tents the aim of the camp is to actively contribute to the research, protection and conservation efforts of existing natural reserves whilst allowing clients to enjoy an all-encompassing nature experience. 12 Nov: Private guided tour to Kuang Si Waterfall and boat tour to Pak Ou Caves. 21 Nov: Transfer by car & boat to Cardamom Hills. Introductory walk through reserve. 23 Nov: Return to Phnom Penh. Day room included in city hotel until afternoon airport transfer. Combining Laos with Cambodia is a very popular holiday option and this itinerary takes you through some of the least visited parts of both countries, yet still includes the "must-sees". This client wanted to see as much as possible of both countries so we kept the flying to a minimum with an overland tour. To save costs and time you could fly from Pakse (Laos) to Siem Reap or Phnom Penh. 13 Nov: Follow Mekong to Kratie. Take small local boat to Koh Trong Island. Putting Northern Laos together with the Angkor Temples in Cambodia may not immediately be an obvious choice, but as long as you have a fairly generous budget it delivers a hell of a holiday. Snake through the northern hills by car and boat to enjoy a land that's dominated by soaring limestone mountains and beguiling rivers, to visit the people who make this incredible place home. This is all top and tailed with a stay Laos' laid back Capital, Vientiane, a few days trying to work out why Luang Prabang is so special, before finishing off with the world wonder that is Angkor Archaeological Park. 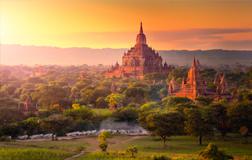 A ideal itinerary for the first time visitor to Myanmar you will get to experience the main highlights of Yangon, Inle Lake, Bagan and Mandalay whilst getting slightly off the beaten track by travelling overland to Bagan and spending a couple of days up in the beautiful hill country around Kalaw. A beach stay can easily be added. 07 Nov: Private guided day tour of Mandalay. 08 Nov: Evening tour to watch the sun set over the Bagan plain from the Viewing Tower. 11 Nov: Transfer up to the Kalaw Hills, stopping at a market on the way. This client wanted to combine a touring holiday of Myanmar with a first class cruise along the Irrawaddy River. The 4 nighht Pandaw cruise is a perfect way to see parts of the river slightly off the beaten track. The best priced Premium economy flights were with Vietnam Airlines, which means they have to fly via Yangon in each direction. If travelling in economy or Business you can fly into Mandalay and out of Yangon. 16 Nov: Private guided day tour of Mandalay. 21 Nov: Evening tour to watch the sun set over the Bagan plain from the Viewing Tower. 24 Nov: Transfer up to the Kalaw Hills, stopping at a market on the way. This repeat client was looking for a new 2 centre holiday and so we suggested combining a comprehensive tour through Myanmar (Burma) with 3 nights in Luang Prabang. It all fitted together perfectly to create a fantastic itinerary. If you have time you won't regret adding a night in any of the destinations. Beach can be added in Myanmar. This client had never been to Thailand before and wanted to combine a stay in Bangkok with a bit of soft adventure (travelling with daughter) that showed them more of the country and included a variety of experiences before finishing off on a picture perfect beach. This was the result. 11 Nov: Morning with elephant, transfer back to Chiang Mai. Afternoon free. The holiday combines a few days in Bangkok with soft adventure in northern Thailand and an island beach stay with option to add diving / snorkelling locally. Ideal for the first time visitor. You won't find this itinerary in any brochure, but the client wanted to combine northern Vietnam with the Angkor temples in Cambodia and then include an extended stay in Thailand, enjoying the energy of Bangkok and beaches of Krabi. A great example of our flexibility and ability to create truly tailor-made holidays. 11 Nov: Private guided City Tour & long tailed boat ride. Evening Tuk Tuk Street & Markets Tour. This client had never been to Thailand or Laos and wanted to include a cruise on the Mekong River. The overnight Luang Say cruise is the perfect relaxed way to enter Laos and so we topped and tailed a tour of Laos with north and south Thailand. This client had never been to Sri Lanka before and just wanted a taster tour before spending a week on the beach on the south coast. All the hotels are first class or deluxe and the Anantara Peacehaven is perhaps the best beach hotel in the country which was to be the main focus of the holiday. 29 Nov: Late check-out until 6pm, then transfer up the coast to Colombo. Late evening check-in. This was put together for a family of 4 who wanted to stay in good quality small / medium size hotels and enjoy the main island highlights with time to relax before finishing off on the beach. 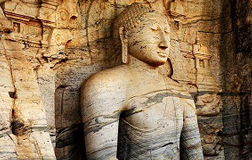 02 Apr: Private tour to Lion Rock of Sigiriya. Afternoon free.